If you enter the wrong information on your shipping forms or fail to secure your packages properly, it could cost you in more ways than one. Your packages may be delayed at customs, putting your customer relationships at risk. Or you may have to pay steep fines that weren’t a part of your original budget. Here are some things to keep in mind as you get ready to send your packages overseas. International shipping has come a long way since mankind first started trading across long distances. The first merchants used domesticated camels to move their goods from place to place, often stopping to rest along the way. It could take months for shipments to arrive, and delivery times were far from accurate. As time went on, sailing vessels became the transportation mode of choice. Wooden ships traversed the seas, skirting around the edges of continents to discover new markets around the globe. Today, maritime trade still makes up the majority of international trade, accounting for 90 percent of the world’s trading practices. It’s the most cost-effective way to move your goods overseas, and you don’t have to worry about weight restrictions getting in your way. Air transport represents just a small portion of international trade. While a plane can move packages overseas in just a few hours, shipping thousands of pounds of cargo on a plane isn’t exactly realistic. 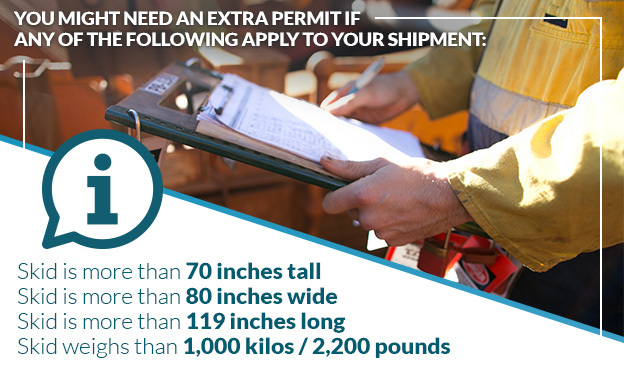 Regardless of whether you’re shipping your goods by boat, truck or plane, there are some key requirements you need to keep in mind as you prepare your shipment for the long journey ahead. Before we dive in, it’s important to remember that every country has its own import and export laws with different trade agreements for transactions with different countries. Before you start preparing your shipment, study up on your own country’s export laws and the import laws of your destination countries. If you’re not sure where to get this information, UPS provides rules and regulations for export and import countries on their website. Before you bill your customers, you’ll need to calculate the total cost of the shipment, including the cost of shipping services, any duties and taxes that may apply to your shipment, the cost of packaging materials and labor required to prepare your goods for shipment, processing and administrative fees for filling out paperwork and compiling all the necessary forms. Make sure you’ve done your homework before you send a customer a bill for shipping. If you run into any additional costs after the fact, you’ll likely have to eat those costs instead of passing them along to the customer. One of the first items on your to-do list is to fill out all the necessary forms for your international shipment. It’s best to use electronic shipping forms that you can send and share with the click of a button. Companies large and small are turning to cloud-based logistics to make sure everyone has access to the same information. If you print and fill out your forms by hand, there’s always a chance that some forms will contain incongruous information. Paper copies could get lost or damaged during the journey. And some of your handwriting may not be legible to the customs officer handling your shipment. Any one of these issues could delay your shipment as you try to resolve the issue with customs. The world is quickly digitizing, so you might as well join in and invest in logistics software. You can manage all your shipping information using the same interface, which will save you a lot of time and hassle, especially if your company is moving multiple shipments around the world simultaneously. Commercial Invoice: The main form you’ll need to fill out is known as the commercial invoice. 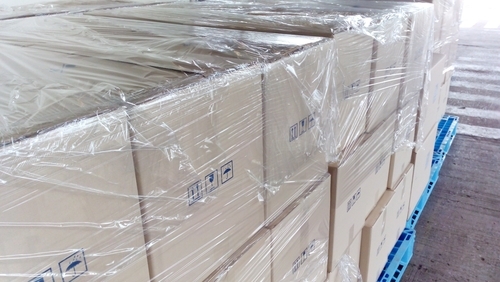 This includes the contents of the shipment with a detailed description of the goods, including their value and dimensions, and the shipper’s information, including contact info and address. The form also includes any taxes or duties placed on the shipment. Some shipments may be exempt depending on the trade agreement between the destination and country of origin and may require a separate form that verifies this exemption. Certificate of Origin: You’ll also need to present a Certificate of Origin to customs officials. This important document certifies that the product was made in the country of origin. It’s not enough to simply say that your goods were produced in America. You’ll need to get an official U.S. Certificate of Origin and have it notarized. Electronic Export Information: Also known as the EEI or the Shipper’s Export Declaration, this document is only needed if your shipment is valued at more than $2,500. The Census Bureau uses this information to keep track of the country’s official export statistics. Transportation Services Receipt: You may also need to show the receipt for any transportation services rendered, including warehousing and docking fees. If you’re using a third-party shipping company, keep a copy of the receipts for your records in case you experience any complications along the way. Certificate of Insurance: If your goods are insured by a third-party, keep a copy of your policy and the receipt for your records. Inspection Certificate: In some cases, your goods may need to be inspected by customs officials or other regulatory bodies. If an inspection occurs, you may need to obtain a copy of the inspection certificate. When filling out these forms, you’ll need to declare the value of your goods, including how much you’re selling them for and their current market value. If you’re offering your customer a deal, you still need to show customs official the going rate for your goods. These numbers tend to fluctuate, so make sure you’re using the same number on all your forms. Now that you have your forms in order, it’s time to focus on the package itself. Again, remember to read up on any requirements enforced by the destination country so that your package won’t get held up in customs or sent back overseas. The type of shipping container you choose depends on what you’re trying to transport. IBC totes are well suited for solvents, liquids and other industrial supplies. Shipping crates are great for large objects and fragile merchandise. If you’re using wood-based shipping materials like wooden pallets, crates or dunnage, be aware that you’ll need to get your packages stamped with the International Plant Protection Convention stamp, also known as the “bug stamp.” This prevents the spread of plant-based diseases, including those carried by pests. If you’d like to skip this step altogether, you can always invest in plastic pallets instead. Of course, you need to make sure your shipping container is durable and will keep your products safe. However, the heavier your package, the more you’ll have to pay in shipping, so you’ll need to strike the right balance depending on the contents. If you plan to ship internationally on a regular basis, you can invest in reusable shipping containers, like IBC totes and plastic drums, so you won’t have to keep buying new supplies every time you get an order. You should ask yourself if you need to insure your packages. 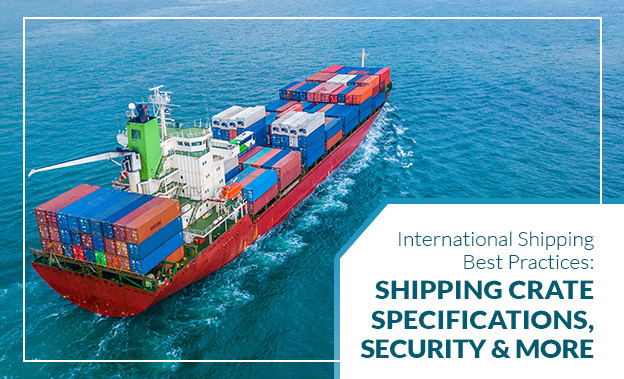 Some shipping companies may already include insurance as part of their services, but it’s best to look over the policy regardless. If your shipment is a luxury item or worth thousands of dollars, you might want to invest in another policy. Make sure the value of your shipment is accurate when shopping for insurance. Your packages should fit on top of the pallet. In most cases, it’s best — and may even be required — to shrink wrap the containers to the pallet to keep them together. Make sure forklifts can easily access the pallet, or your shipment won’t get to its destination. Don’t put anything over the edge of the pallet, or it may get crushed during its journey. Pallets and containers tend to get shoved together in tight places, so make sure the shipment is flat on all sides. 78 percent of shoppers would like the option of tracking their packages in real time. Regardless of what you’re selling or to whom, it’s always helpful to know the whereabouts of your shipments. Most shipping companies offer this service, but make sure both you and the customer have access to this information, especially if you’re shipping goods with a high declared value. If you’re shipping rare or costly goods, you might even want to invest in your own shipping trackers. These small devices attach to your package, so you never have to worry about your shipment getting lost or stolen. 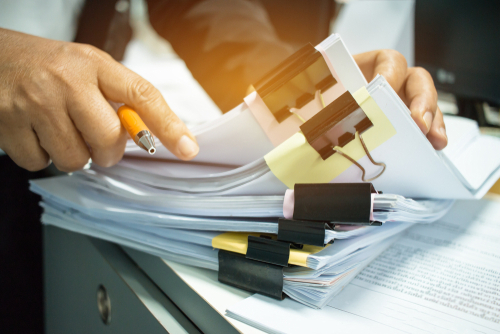 Some shipping companies may be slow to update their records, so you might want to have a backup ready to go in case a shipment is delayed or missing. You might also want to invest in what’s known as smart packaging for your shipments. This refers to special packages that send information to shippers in real time, including the location of the item, its current and previous temperature, and whether the package has been tampered with in any way. If you’re transporting rare or expensive items, you might want a special container that will alert you if anyone tries to break inside. Your customer will also appreciate the extra peace of mind. This kind of packaging can be useful if you need to prove the item hasn’t been tampered with, which may be true for rare or collectible items. If you’re shipping food or medicine overseas, an insulated container will help maintain your packages at the perfect temperature. But smart packaging will ensure that your shipment has been properly refrigerated throughout the entire journey. If a shipment falls below a certain temperature, it could spoil, leading to illness or bacterial infection. A dock worker might leave your shipment on the dock for a little too long, ruining your shipment. But with smart packaging, you and the recipient can verify that the goods are safe for consumption. As you can see, there are a lot of considerations to keep in mind when it comes to international shipping. While your shipping practices will change based on what you’re shipping, from where and to whom, it’s always best to do your research so you can avoid any delays and costly fees that may impact your business and your customers. Your reputation is everything when it comes to winning over international customers. If you miss anything important, it could put a strain on your customer relations. When it comes to saving money and ensuring the safety of your packages, spend some time looking for the right container and shipping company for your business. If some of your contents are valuable or irreplaceable, you may need to invest in extra security measures like real-time trackers, smart packaging and heavy-duty containers. It’s all about making the right decisions for your business and your customers.